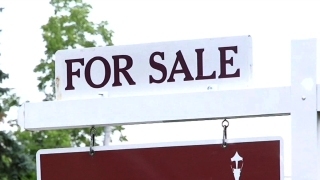 File image of "For Sale" sign. San Jose made history last week, but not necessarily in an affordable way. The capital of Silicon Valley is the one and only city in the country to have median home prices eclipse the $1 million dollar mark, according to The Wall Street Journal and data from the National Association of Realtors. Since this time last year, home prices in the South Bay have jumped 10.7 percent to $1.085 million, according to The Wall Street Journal. Not to be outdone, San Francisco finished second in the rankings with an average house costing buyers $885,600, The Wall Street Journal reported. Home prices are presenting buyers with financial headaches across the nation as well. Although four percentage points lower than first quarter 2016 reports, home prices in 83 percent of metropolitan regions jumped during the second quarter compared to last year's second quarter reports, according to The Wall Street Journal. The national median home price sits at $240,700, The Wall Street Journal reported.